Crock-Pots or slow cookers have become really popular again, lets face it they are quite a marvelous invention. They offer a very cheap way of cooking and dinner can be ready to eat as soon as you get home from work - no mess no fuss. Now whenever you think of a meal cooked in a slow cooker you tend to think it's all stews and casseroles. 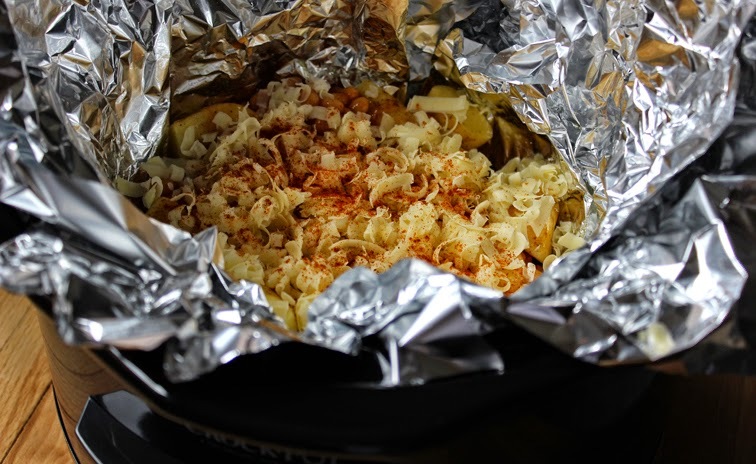 But you can actually cook certain foods wrapped in foil which of course means even less washing up as the crock-pot is as clean at the end as it was before any cooking began! Perfect for bonfire night or great for students these cheesy beany potatoes may not look amazing but let me tell you if you this was good! Prepared in just five minutes then left to cook all day long while you're working or maybe you just have something else to do other than stand over a cooker. Lets face it baked beans are really good for you too, high in fibre and virtually fat-free which is probably just as well since these potatoes are loaded with cheese! So since Crock-Pot are making October #Crocktober a slow cooking campaign, I was asked to make a recipe and was sent this Digital Crock-Pots and a Crock-Pot Food Warmer (a great little gadget that re-heats cooked food while you are in the office) just put the food into the bowl, plug in and 3 hours later your food will be piping hot and ready to eat. Sadly I don't work in the kind of place where you are able to do that but if you do then it's ideal. I love this Crock-Pot - the digital timer allows you to see how much longer you have till your food is ready and it auto switches to keep warm when it's done. So no need to worry if you're running late. 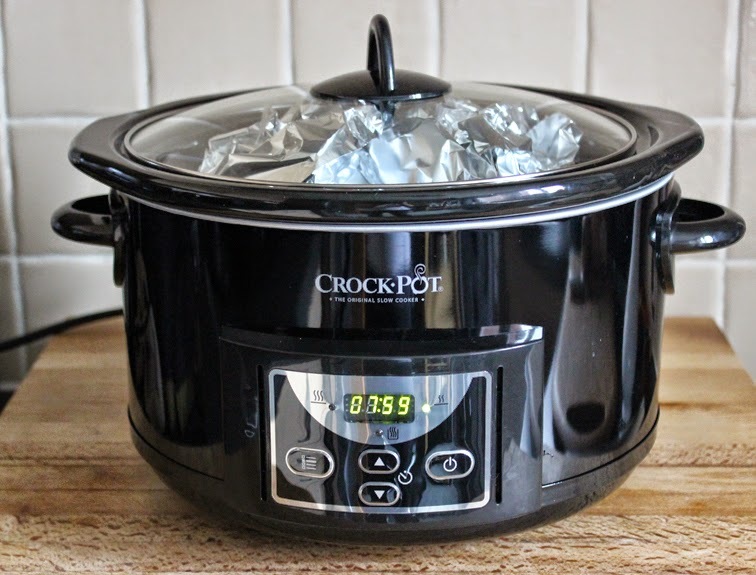 Crock-Pot UK are supplying one of these rather nice Digital Crock-Pots and a Crock-Pot Food Warmer for my Giveaway. But first here's my recipe for those cheesy beany potatoes. Crock-Pots or slow cookers have become really popular again; they offer a very cheap way of cooking and dinner can be ready to eat as soon as you get home from work. Lay two big sheets of good quality kitchen foil to form a cross. 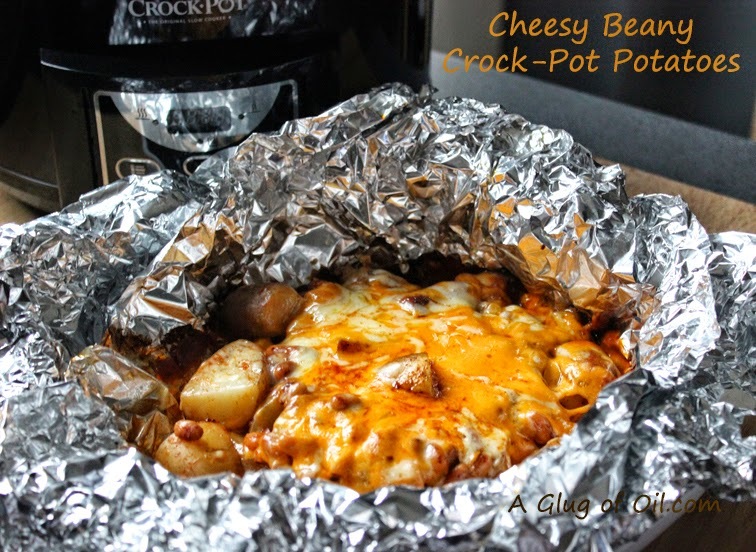 Line the crock-pot with the foil - it needs to be big enough to be able to pull the sides up and to cover the potatoes. Throw in the potatoes and season with sea salt and black pepper. Now pour over the baked beans and stir very carefully taking care not to tear the foil. Add half of the cheese (saving the rest till later) and sprinkle a little cayenne or chilli powder. Pull the foil over to loosely cover the food. Pop the lid on and switch on the Crock-Pot. Cook for 8 hours on LOW add the rest of the cheese towards the end of cooking - say 10-15 minutes before just giving it enough time to melt and then serve. 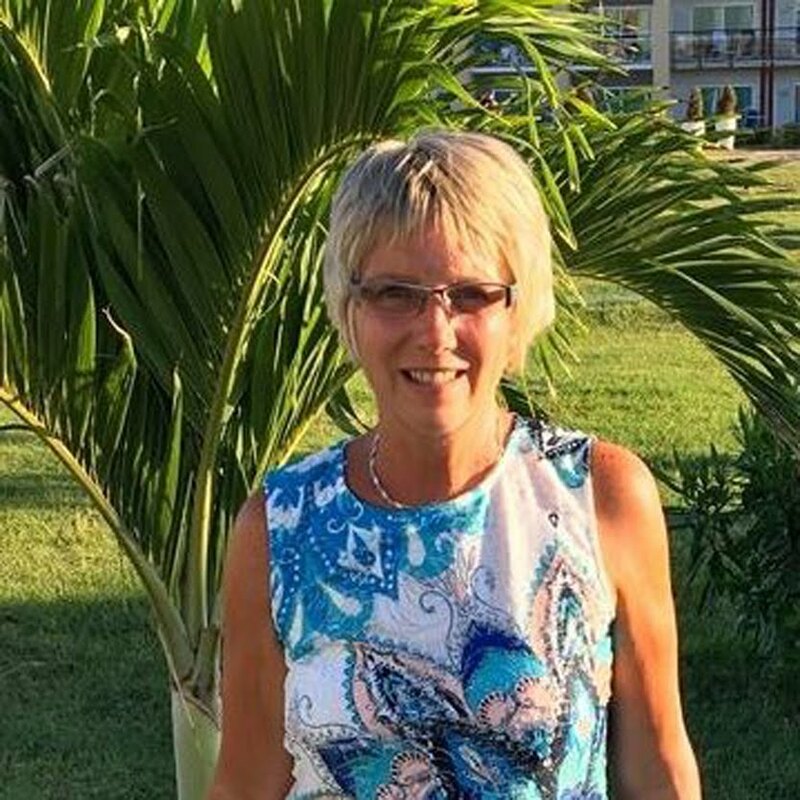 As mentioned Crock-Pot UK are supplying a Digital Crock-Pot and a Crock-Pot Food Warmer which lucky reader of this blog will win. A hearty beef caserole with dumplings! Thank you! I'd love to make a root vegetable stew.. I'm definitely going to try this! Looks really clever! I'd try a Mediterranean stew. I'm going to make ALL THE THINGS! I love to make chicken tacos in a slow cooker, along with pulled pork, beef stew, roasts, chicken curry, swiss steak, and especially pinto beans with a big old ham shank. I'd make a chocolate fudge cake! This has made me realise I should get a crockpot for my daughter at uni. She is catered for during the week (a first year) but they fend for themselves at weekends. Must investigate. And this meal is absolutely just the kind of thing she and her flatmates would enjoy. Not entering your contest (already have one) but what a marvellous giveaway. Good luck everyone! Chickpea and butternut squash stew. Three bean and sausage casserole! My Dad makes it in his crock pot and it's amazing! Oh, definitely a pork shoulder! I think I'd try your dish Jan and maybe add some chopped up gammon steak (fat trimmed off 1st though)! It has to be beef caserole :) nothing better during these winter months! I'd start with this lovely recipe! Mmmm cheesy beans! I started drooling at the thought of cheesey bean potatoes before I even got here. What a great idea. Yum! I think my first recipe in a crockpot would be pulled pork.. I'm always hearing about how amazing it is! I've been using mine for years for stews and soups. never tried doing this type of cooking in it. I will now! IF I win this, I'd cook a roast in it! Lots of stews and curries. And I would have to give your cheesey bean spuds a go - great idea! I have to try the cheesy beany potatoes you have given us on the page. But I would also use the crockpot for cake and fudge yummy, if I am lucky enough to win. I’ve a sore hand from knocking! I would make chili! This recipe looks great too! Everything now the weather has turned but my favourite is Gammon with brown sugar covering. I would like to try and make a slow cooked curry. A spicy chilli with coriander dumplings. Pulled pork would probably be amongst the first items. I have never made anything out of a crock pot but I have eaten food that others have and this was a big hit. I think I'd try those cheesy bean potatoes. They look REALLY good . I would cook beef stew and dumplings! Pulled pork - Ive had it once done in a slow cooker at a friends house and it was so tender melt in the mouth! I would make a chilli, my favourite dish! I would cook soups, stew, chili, whole chicken, ribs, pork chops and so much more in the slow cooker. Cheesy lentil stew - lots of herbs in it to make it smell delish. Beef in Ale stew. Tasty! A low cooked beef rendang curry. Sausage casserole slow cooked in cider, my OH's favourite - makes the house smell wonderful too! Beef Stew would be my first to try. I'd cook a lamb casserole with rich garlic and rosemary gravy and herby dumplings! My children if they are not careful :) Maybe just a lamb hotpot though. Would taste better! I would cook, steak and ale casserole! Kashmiri Butter Chicken. Thank you! I'd cook brisket of beef in ale. A sausage and chilli bean stew. My favourite winter beef stew with potatoes, carrots, mushrooms and garlic. I'm loving the cheesy beany potatoes. They look lush. I would definitely make a nice stew at this time of year. Gammon in cherry coke - it's scrumdiddlyumptious!! 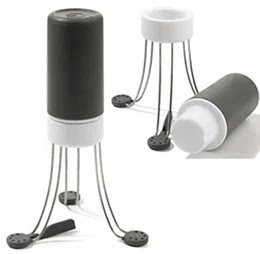 This would be great for making chili and stew for those long winter nights ahead.